A legislative committee chose to promote a Medicaid expansion bill championed by Sen. Charlie Scott (R-Casper) over a plan crafted through negotiations between the Wyoming Department of Health and the federal Center for Medicare and Medicaid Services. 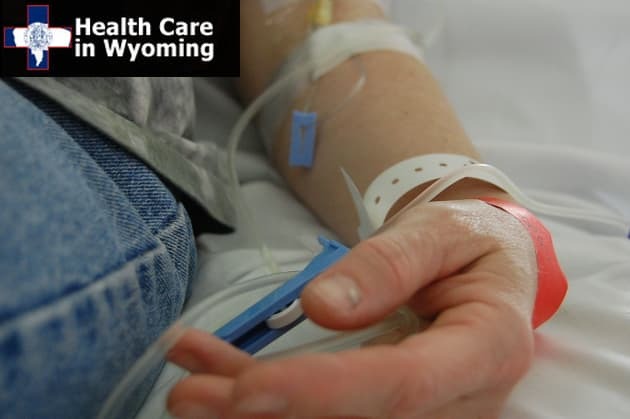 The SHARE plan, drafted by the Wyoming Department of Health, is likely to win the approval of CMS if submitted by the state, according to experts. Scott’s bill would establish health savings accounts — a provision that will require further negotiations with CMS. “The difficulty I have with a conventional Medicaid expansion is that I don’t see in it any incentives to control utilization and thus cost, and a health savings account is a well-proven mechanism for doing just that sort of thing,” Sen. Scott said. “You have people with skin in the game, but their account will be depleted if they use healthcare services they don’t really need.” That helps to avoid “excess” use of the Medicaid system, he said. Sen. Scott’s favored Medicaid Expansion-alternative bill passed on a 10 to 4 vote in the Joint Labor, Health and Social Services Committee meeting Tuesday in Cheyenne. The bill incorporates many elements of the Healthy Indiana 2.0 plan currently under consideration by CMS. The key part of that plan involves depositing money into personal health savings accounts that participants budget to pay for their own care. Scott and the committee added a number of Wyoming-specific provisions. During deliberations on Tuesday, Scott and other lawmakers passed numerous amendments to the bill. They stripped out a work requirement to receive benefits, as well as a ban on payment for non-emergency transportation. They also eliminated a six month lockout period for nonpayment of contributions to the health savings accounts or copayments. Instead, the bill would drop those who do not pay to a lower level of Medicaid benefits rather than discharging them from the program altogether. Scott’s alternative plan would be managed by a private administrator rather than the state. Copayments and premiums would be based on a sliding fee scale, not to exceed 2 percent of the participant’s income. Those who are able to work would be provided with work placement assistance, with the goal of getting all able participants to work for at least 20 hours per week. A Department of Health report estimates 59 percent of the 17,600 people in Wyoming’s Medicaid expansion population are already working, while 12 percent are unemployed and 30 percent are not part of the labor force. Health savings accounts — technically called Personal Health and Wellness Accounts — would receive an annual deposit of $2,500. For the 17,600 people estimated in the Medicaid expansion population, that would cost about $44 million. Not even committee members know whether that comes from the state or the federal government. If participants’ incomes exceed 138 percent of the federal poverty level, they would be allowed to take the balance of their health savings account with them to purchase private insurance on the federal health exchange. This is intended to provide an incentive for upward mobility and a more seamless transition for those whose rising income makes them ineligible for Medicaid. If the Legislature approves the Medicaid expansion-alternative bill in the upcoming 2015 session, the Department of Health would be tasked with beginning a new round of negotiations with CMS. Sen. Jim Anderson (R-Casper) proposed an amendment to require the resulting plan to meet legislative approval in the 2016 session. That amendment failed after Rep. Mary Throne (D-Cheyenne) suggested it might constitute a “legislative veto,” which is disallowed by the state constitution. As a result, Medicaid expansion could potentially go forward at the conclusion of negotiations with CMS, sometime after the legislative session ends in March, perhaps as soon as April. Throughout the debate lawmakers and Department of Health representatives speculated on whether CMS would approve of the bill’s provisions. Committee members sought to eliminate portions of the bill that CMS might reject. They based their opinions on previous conversations with federal negotiators and guidance from already approved Medicaid expansion plans in other states. Some of this information has become available since 2012, when a federal lawsuit made expanding Medicaid optional for states, rather than mandatory. In particular, Rep. Elaine Harvey (R-Lovell) said she received guidance last week from the CMS Director of Intergovernmental and External Affairs Paul Dioguardi to look closely at plans that have already been approved. Since Healthy Indiana 2.0 is still under consideration, it’s not certain what specific system of health savings accounts CMS might approve. The committee narrowly rejected the SHARE plan bill, crafted through months of negotiation between the Department of Health and CMS, on a 7 to 7 vote. Outside experts judged the SHARE plan would “pass muster” with CMS. While the committee spent hours discussing and amending the Medicaid expansion-alternative bill, it decided through a straw poll to not discuss or amend the SHARE plan bill before taking the final vote defeating the measure. Despite the lack of committee approval this week, some say the SHARE plan may still be debated when the Legislature convenes. Lawmakers appeared to have a rough idea of what CMS might approve, but a consultant working for the Department of Health was uncertain how much of the health savings account program would be covered by federal funds. “There is a possibility that if this goes through this would be entirely state-funded,” said Meredith Asay, a former Department of Health Medicaid administrator who now works as an independent consultant. Asay wasn’t certain if health savings accounts would be considered administrative or health benefit expenses. If the health savings accounts are counted as administrative costs, they would only be matched by 50 percent federal funds and the rest paid for by the state. If health savings accounts are considered medical benefit costs, they could be covered 100 percent by federal funds until the end of 2016, dropping to 90 percent in 2020. An initial WyoFile search of other CMS-approved state plans with health savings accounts didn’t indicate the level of federal vs. state share. 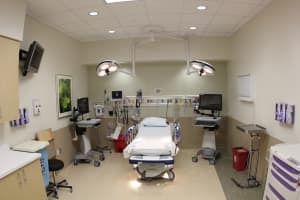 The Department of Health calculated that the SHARE plan would have been cost-neutral to state General Fund revenue, while creating 800 jobs, and reducing the $200 million in uncompensated care provided by Wyoming hospitals. It’s unclear how the alternative plan compares to the SHARE plan in terms of cost to administer and overall savings to the state. Lawmakers didn’t discuss the fiscal impact of each plan during debates. The Department of Health has not analyzed how much it would cost to administer the health savings account plan. “Yesterday they were flying by the seat of their pants, so hopefully they will have that information by the time the Legislature convenes,” Herman said. With no expansion of Medicaid, Wyoming has foregone an estimated $108 million in federal funds so far in 2014. 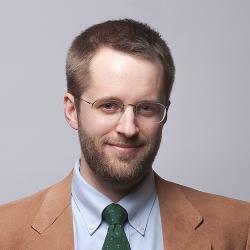 — Gregory Nickerson is the government and policy reporter for WyoFile. He writes the Capitol Beat blog. Contact him at greg@wyofile.com or follow him on twitter @GregNickersonWY. SUPPORT: If you would like to see more quality Wyoming journalism, please consider supporting WyoFile: a non-partisan, non-profit news organization dedicated to in-depth reporting on Wyoming’s people, places and policy. No anonymous comments. To be considered for publication, each comment must be accompanied by the writer’s first name, last name, city and state of residence. This identifying information will be published with the comment. You may request an exemption from the editor if there is a reasonable expectation that by associating your name with your comment you may face undue retribution (email editor@wyofile.com). Use your own words. Comments with excessive quotations and hyperlinks may be trashed. Comments may be trashed for name-calling, personal attacks, threats, derogatory or defamatory comments, racism, sexism or any form of bigotry. Do not discourage others from commenting. Be reasonable with the length of your comment. If you have more to say, submit a guest column proposal to the editor (email editor@wyofile.com).